Nirdosh Cigarattes is now available only in Clove and Mint taste. For full spectrum super-anti-oxidant power. Gives strength (bala) to mind and body. For Rheumatic, Arthritic, Collagen diseases. Acute Soft Tissue Trauma. Dental Traumatic conditions. Triphala uniquely cleanses and detoxifies at the deepest organic levels without depleting the body's reserves. In ancient India it was the duty of the Vaidyas to protect ayu or life. They would have great conventions in the Himalayas with all the greatest Vaidyas and discuss the diseases being faced by mankind and how to remove them at their very root. Hence the great eternal science of ayurveda was borne. In today's newsletter we share 11 simple secrets that are universal and good for everyone, everywhere in all times. If you apply just 10% of these 11 principals you will have a 110% improvement in health. Drink only pure alkaline spring water. Even if you have the best water purifier in the world, water once it has been chemically treated, looses it's magnetic fingerprint or prana and this takes time to restore. Try find a local spring near to where you live that is coming naturally out of the earth (make sure the spring is pure and clean of course). Make sure the pH of the spring is alkaline and ideally the TDS are as low as possible. You can visit Find a Spring to see a global online guide of springs in many countries, if you find a good one you can add it there too. If you don't a local spring then look for spring water in bottles that you can use for drinking and cooking. You will notice within a week a remarkable improvement in health no doubt. Stop eating nightshades! Nightshades are tomato, potato, brinjal, potato and capsicum. All nightshades contain known chemical toxins and all have a long term detrimental effect on health. Ironically they are of the most consumed vegetables in most countries due to their addictive quality. For a good reference of research on the subject see the book: Nightshade Free Pain Free . Stop all refined oils Replace them with cold pressed (and organic!) oils such as extra virgin olive oil, sesame oil and ghee. Prof Hari Sharma presented a study done on rats that within 3 weeks of feeding them refined oil lesions had formed in their livers. Cut out refined oils in all and every form (they are hidden in many ingredients). Eat organic. When you don't eat organic in today's world, you are eating any number of fertilizers, pesticides and herbicides as well as the chemicals used to preserve and process foods after picking (for example today in India mangos are picked green and then dipped in chemicals to artificially ripen them). Organic food has higher vitamin and nutrient content,� does not tax the liver with toxic chemicals and has been proven to enhance immunity. Make your own yoghurt. This is one of the age old secrets of all civilizations that had the highest longevity such as Abkhazia and Hunza. Fresh home made yoghurt was made and consumed daily. Get whole organic raw milk, bring it to a boil, cool it to body temperature and add some few spoons of the best yoghurt you can find as a starter culture. Leave it overnight with the oven lamp on if in a cooler climate. If in a warm climate don't leave it too long to sour. Yoghurt is best eaten when it is naturally sweet. Take yoghurt at lunch time as a home made lassi (1 part yoghurt and 4 parts of spring water with a little honey added to sweeten). Totally stop white sugar. It has no nutritional value and is a known toxin for the body. It is the most addictive and heavily consumed poison on the planet today. Take whole sugars such as jaggery (raw sugar), dates, honey and maple syrup. Note: Never heat honey! Totally stop coffee.� Coffee might be your ticket to "wake up" your system but it is at a great cost. It has been shown to contain a number of known carcinogens and has a very detrimental effect on the liver. Phase it out in preference of herbal teas such as peppermint or rose petal tea which are wholesome and good for liver and cleanse the system rather than laden it with toxins. Stop all forms of soya. Soya though marketed as a health food is quite the opposite. Cut it out in all forms (it is often hidden as soya-lecithin!). In the last decade so much research has come out on the detrimental effects of soya on health. Most people are not educated and are following what the soya companies wish them to believe. it has a very detrimental effect on health and this has been extensively documented and reported on the excellent New Zealand Soy Network Site. No canned, preserved, microwaved or any otherwise chemical modified food. Most people know this point but we've added it for those who still think any of the above are safe for health. Denatured, microwaved and overly processed foods all tax the health and put toxins into the body. Take 1/2 tsp Amalaki powder twice a day. Amalaki was not called the nurse mother for nothing. 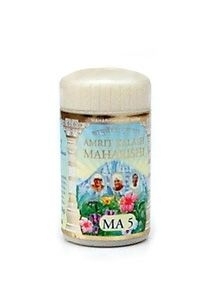 Charaka mentions that one should take Amalaki every day as it is extremely wholesome and good for health. For those without the luxury of your own trees, take a little of the powder twice a day with spring water. Don't use your mobile phone against your head, not in your pocket near your heart, nor keep it on your body when you carry it. If you use a computer with WiFi don't work on top of it (use an external keyboard and mouse). Charaka defines three major points that are the seat of "�lan vitae", being the head, heart and bladder. By putting a radiating phone right on your ear we are causing subtle damage to our most vital point in the body, our head. Sufficient evidence is there to put massive question marks over the safety of mobile phones. Use it selectively on speakerphone� and for SMS. We would appreciate your feedback very much if you've managed to follow even one of the points and seen the improvement to your health. This is the pure and true Ayurveda, to be aware of those things that are good for everyone, all the time. Kindly write feedbacks to: feedback@madanapalas.com or simply reply to this mail.